The statement said the event would bring stakeholders together to examine the challenges and opportunities of the haulage industry. It said the conference among others would feature an exhibition of haulage-related products and services as well as focus on evolving solutions to challenges of the haulage industry. In addition, the conference will study workable models that would address the current crisis in the industry. It noted that the conference would also provide a platform for advocacy and resolution of pressing issues affecting the haulage and logistics industry. ``Many stakeholders including haulage operators, financial institutions, truck dealers, trailer builders, spare parts dealers, among others, have confirmed their participation in the conference. 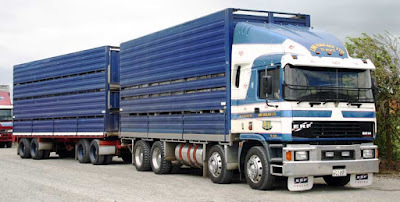 ``Notable stakeholders like Chisco Transport Company, Leventis Motors, Scoa Motors, Iron Products Industries Ltd, Joza Global Logistics, TSL Logistics Ltd, AOP Logistics, have signified interests to participate. Issues to be discussed at the conference include Outsourcing Haulage Services in an Unstable Environment: Developing a Win/Win Framework for Success and Overcoming Challenges in Petroleum Products Marketing and Distribution in Nigeria.